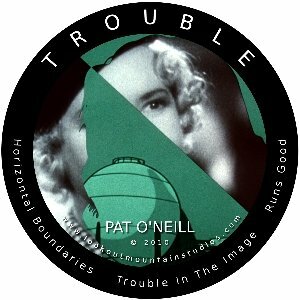 Two 35mm works by filmmaker and artist Pat O'Neill, "Trouble In The Image", an NEA grant recipient, and "Horizontal Boundaries". Includes the bonus track "Runs Good", a First Prize recipient at the Ann Arbor Film Festival, 1971.Two 35mm works by filmmaker and artist Pat O'Neill, "Trouble In The Image", an NEA grant recipient, and "Horizontal Boundaries". Includes the bonus track "Runs Good", a First Prize recipient at the Ann Arbor Film Festival, 1971. Ediciones realizadas por los propios artistas.